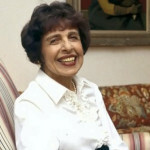 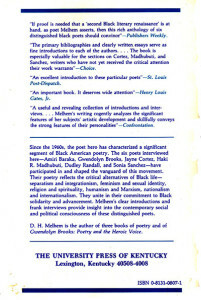 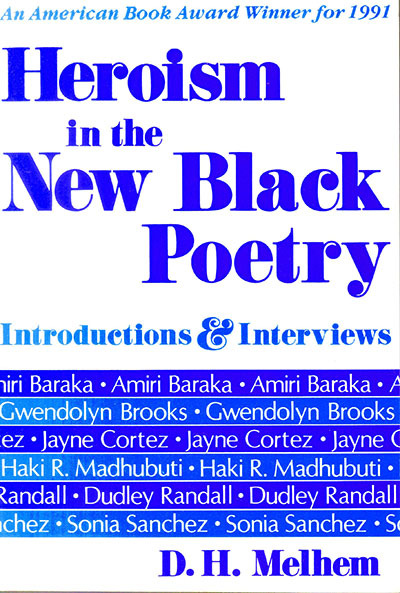 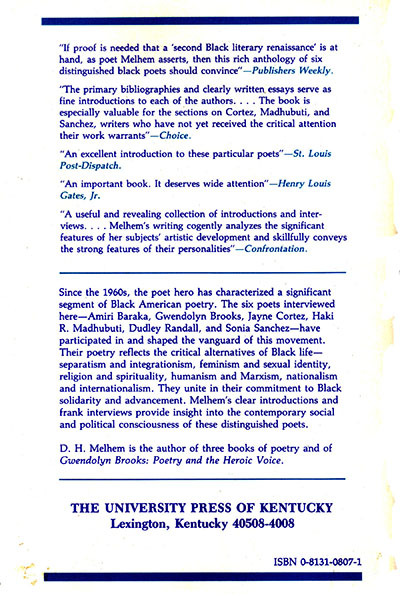 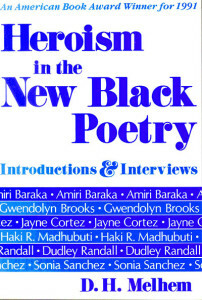 Melhem’s clear introductions and frank interviews provide insight into the contemporary social and political consciousness of six acclaimed poets: Amiri Baraka, Gwendolyn Brooks, Jayne Cortez, Haki R. Madhubuti, Dudley Randall, and Sonia Sanchez. 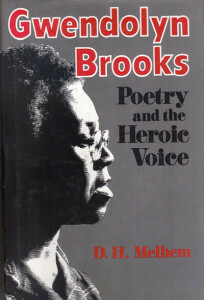 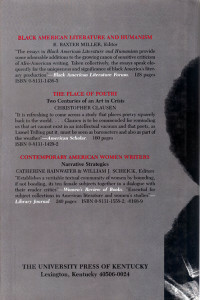 The first and until now the only comprehensive study of Gwendolyn Brooks. 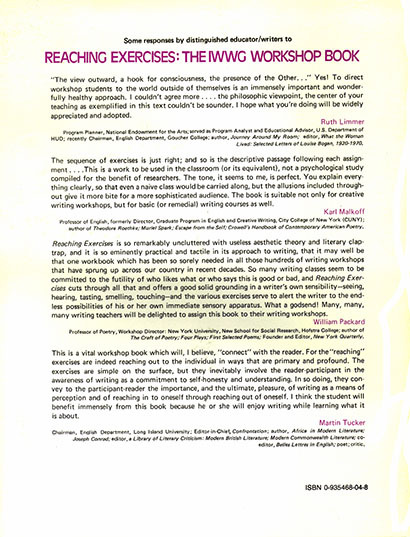 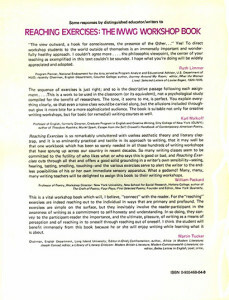 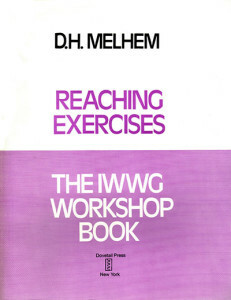 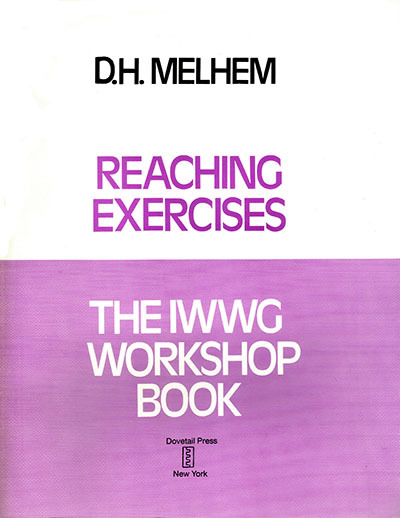 This book was developed in response to the needs of and interactions with my first poetry workshop, “The Paradise,” in the basement fabric workshop of the late German writer Margarete Bernhardt.